IV-curves, impedance spectroscopy and transient responses (incl. photo-CELIV). State-of-the art mobility models: Poole Frenkel, EGDM/ECDM, constant mobility. Conductive doping & charge trapping mechanisms. Injection properties of the contacts. Exciton recombination, generation, quenching, roll-off, diffusion (fully coupled to optical emission and absorption). 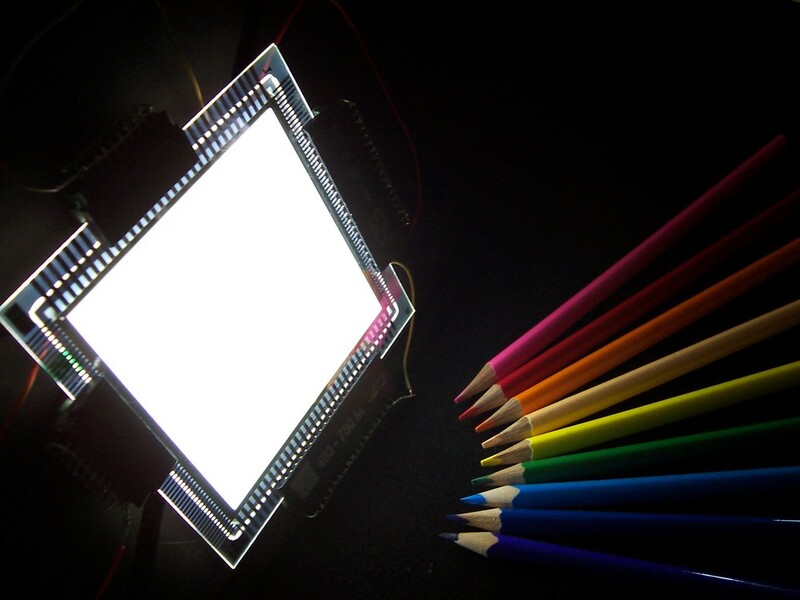 Setfos calculates the IV curve of OLEDs & PVs by using suitable physical models and considering mobility, charge traps, doping, recombination and illumination. Setfos impedance solver calculates the equivalent impedance and capacitance. Instead of using an equivalent circuit approximation, Setfos solves directly meaningful physical equations. Doping is a key method to improve the conductivity of a semiconductor. However, additional elements and impurities in the evaporated or solution processed material can introduce trap states that influence the charge transport. Deep traps act as recombination centers via the Shockley-Read-Hall mechanism (SRH), whereas a permanent polarity of the charge transport layer can effectively improve charge injection. Use Setfos drift-diffusion to reproduce, quantify and understand the influence of these different effects from the comparison between the simulated and experimental characteristics of the device . Excitons form the link between electrical free charges and emission/absorption of light. In Setfos different excitonic processes can be modeled, such as the recombination and dissociation of electron-hole pairs, exciton diffusion, radiative and non-radiative decay. Setfos even models energy transfer between different exciton states, as in Thermally Activated Delayed Fluorescence (TADF) emitters. Setfos simulates the full formation and decay process of excitons in OLEDs. Radiative decay and light emission including Purcell quenching effects. Formation, diffusion and dissociation of excitons. Efficiency roll-off via triplet-triplet (TTA) and triplet-polaron (TPQ) interaction. Calculate the optimal thickness of the absorbing layer. Simulate recombination proces with the Langevin or Onsager-Braun models. Mobile ions play a key role on the electrical behavior of perovskite solar cells and electrochemical light-emitting cells. Setfos can simulate the effect of mobile anions and cations on the device characteristics. Understand device operation from electronic and ionic charge profiles. 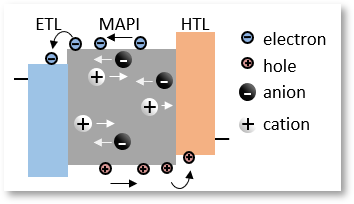 Charge generation and recombination at the interface are key for the operation of tandem OLEDs and solar cells. Setfos is able to describe the interconnection between sub-cells in these devices. Hopping between different states at the interface. Advanced injection layer modeling (Charge Generation Layers). Consistent electrical modeling of tandem solar cells including the recombination junction. Experiments seldom match with theoretical expectations that are based on simplified device models. On the other side, with a detailed simulation of different complementary experiments, the empirical behavior of the sample can be closely modeled. Not just one experiment but a series of measurements need to be considered to build a comprehensive device model. Setfos-Paios Integration integrates Setfos Drift-Diffusion with Paios. A closer reproduction of the different DC, AC and transient characterizations performed with Paios, means greater confidence in extracted parameters and more consistent material characterization. Learn more about Paios and Setfos-Paios Integration.